Howdy all! Desert Sports will be open from 9 am – 6 pm EVERY day from October 1st to April 30th! As of today, we are putting RAFTS on the river. The MOUNTAIN BIKE trails are being spruced up for the season. Please give us a call at 888-989-6900 for the latest river running and mountain biking trail conditions. 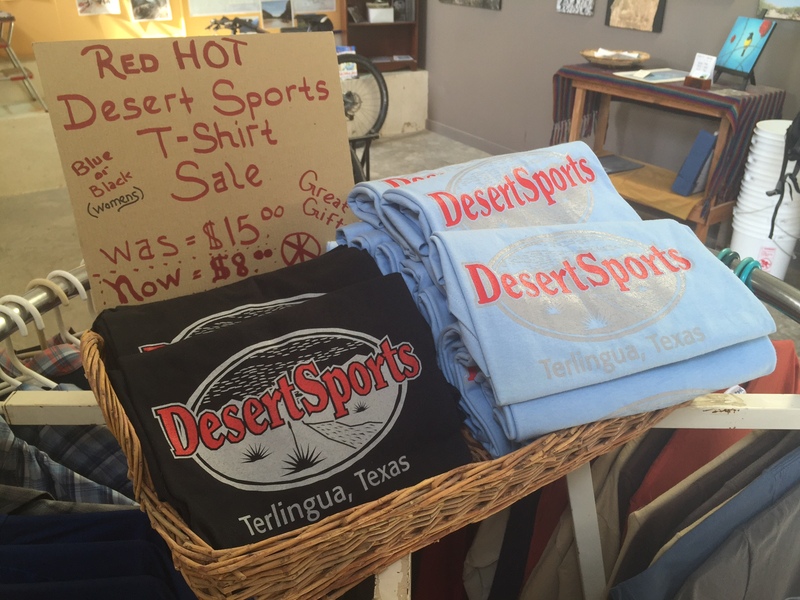 In the RETAIL shop, we have quite a few items on SALE: A selection of Camelbaks, Desert Sports T-shirts, and Cycling Shorts. Stop by and check out the sale and see NEW items in stock. Happy waves and trails! 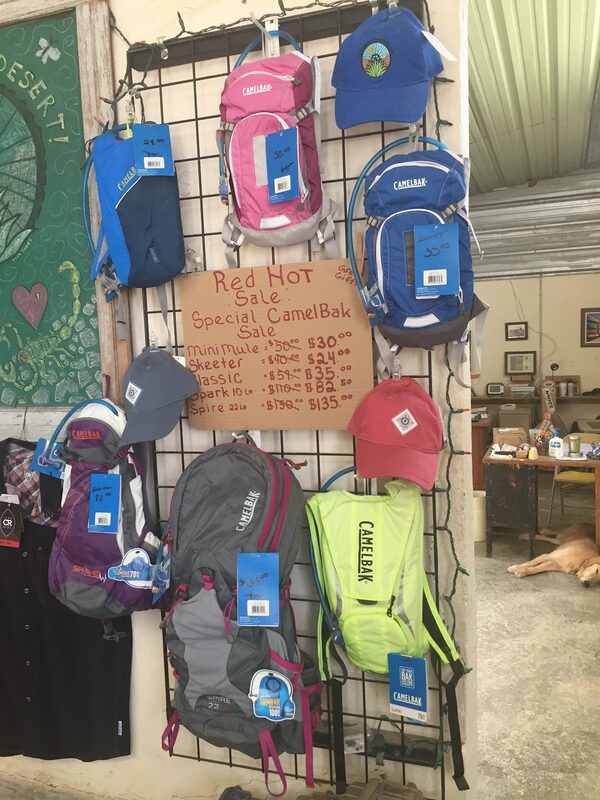 A selection of Camelbaks on SALE! A few of our Women’s T-shirts on SALE!